All level of employees who work in departments that support manufacturing operations. What Are Lean Support Processes? Lean does not apply to just manufacturing processes. Lean involves eliminating waste in the entire organization. In fact, lean efforts in certain manufacturing support processes is critical to success in lean manufacturing implementation. Lean Manufacturing practices cannot be effectively implemented without corresponding changes to purchasing, scheduling, accounting and shipping supporting functions. This course will help employees who support manufacturing operations understand how Lean Manufacturing will impact their functions and responsibilities. Each key function purchasing, scheduling, accounting and shipping/warehousing) is presented in terms of how its role needs to change to support lean manufacturing as well as how wastes need to be driven out of the supporting process itself. Think of their function and how it will change to support lean manufacturing. Understand how wastes in their processes impact the value stream and the end customer. 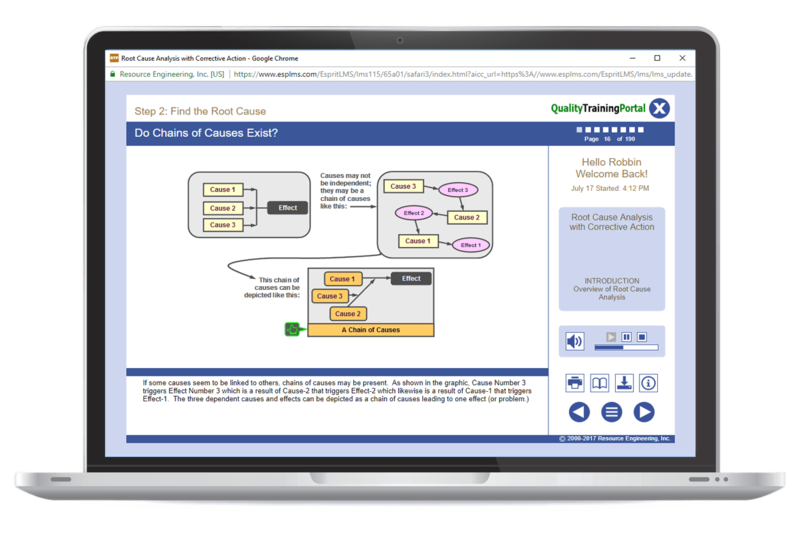 Lean for Business Processes – Online training that provides learners with a comprehensive understanding of how Lean Manufacturing works in a transaction-based/non-manufacturing business or job function. Describe the role that support departments play in Lean Manufacturing. Define what “lower cost of ownership” means. Explain how bottlenecks are handled when scheduling in a lean operation. Explain why lean manufacturing requires skilled workers and effective leaders. Describe what “cross-functional and interdependent departments” means. Define customer-focused and flexible, adaptable, and resourceful and explain what they mean to a lean environment. Define what "lower cost of ownership" means. Describe what "cross-functional and interdependent departments" means.